Heinous. Horrid. Evil. Vile. Bleurgh. 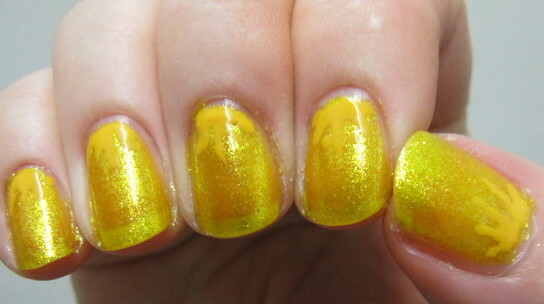 Can't stand yellow polish, even though this has glass flecks. 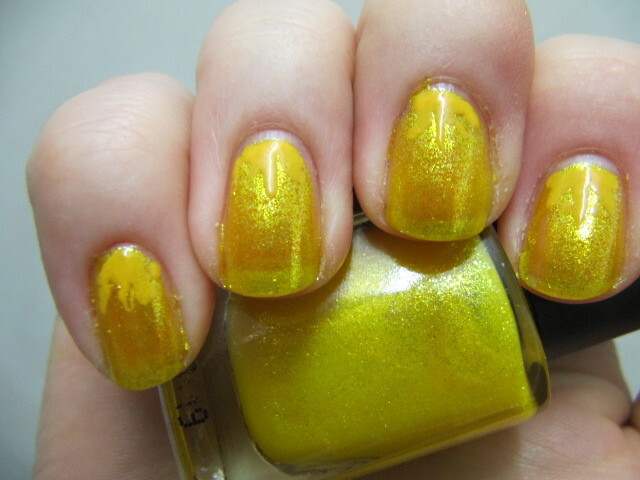 Color Club Daisy Does It from the Take Wing collex. 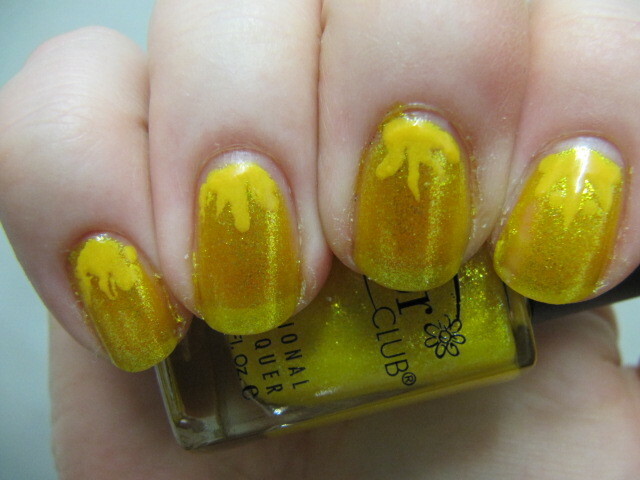 Stupid stamen things dotted on with OPI The It Color.